Wanna play with Chucky? The pint-sized killer has been terrifying and entertaining audiences for more than 25 years. Fright-Rags is excited to honor one of horror’s most iconic villains with the Chucky Collection. 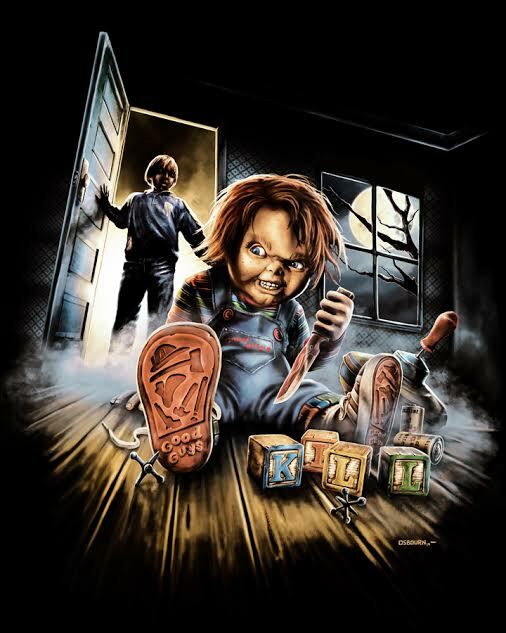 The Chucky box set includes three Chucky shirts – one designed by Justin Osbourn, a second from Abrar Ajmal and a third tee exclusive to the set – as well as an exclusive 18×24 screeprinted poster by artist Matt Ryan Tobin, a prismatic sticker and a full-size Good Guys replica box. This killer set is limited to only 225. Osbourn and Ajmal’s designs are also available separately, as are additional Chucky shirts from Coki Greenway and Christopher Lovell. Rounding out the Chucky collection is an 18×24 screenprinted poster by Kyle Crawford. Limited to 100, the print features a glow-in-the-dark layer that reveals Charles Lee Ray’s voodoo spell. 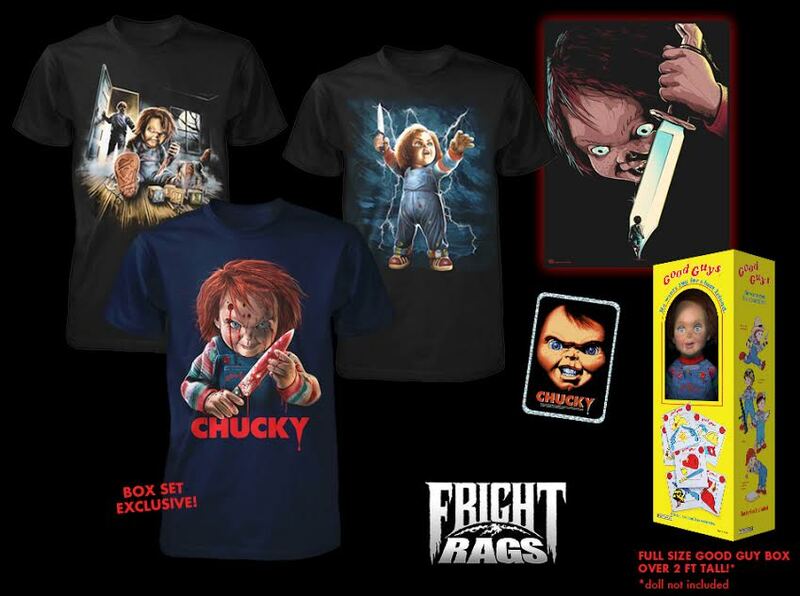 The Chucky collection can be pre-ordered from Fright-Rags. Limited edition items may sell out during the pre-order period, so act fast if you want a friend ’til the end. Orders will ship in late March. This entry was posted in Specials, Stop the Press! 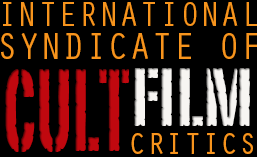 and tagged Chucky, Fright Rags, Horror. Bookmark the permalink.